Kendrick started learning and developing his craft while in college studying Exercise Science. Upon moving to California in 2008, Kendrick started training at a small personal training studio in downtown Menlo Park. It was there where he gained the confidence to create his own style based on the results his clients were achieving. As the demand for classes grew, Kendrick sought to expand his business and opened Studio K-Fit in 2013. 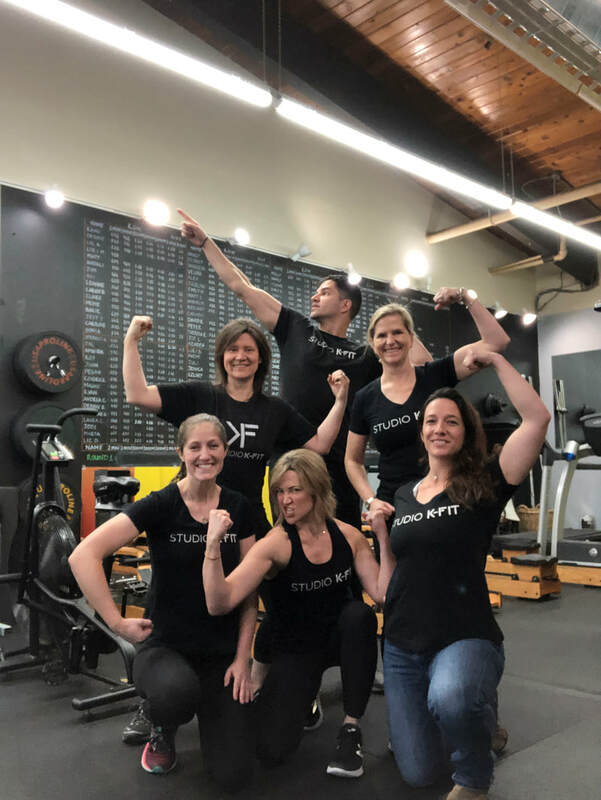 He later developed small group sessions based on the similar philosophy he was using with his personal training clients; plenty of cardio blended with strength (functional training) exercises and a healthy dose of core work. The workouts are geared to engage the entire body, maximizing caloric expenditure. 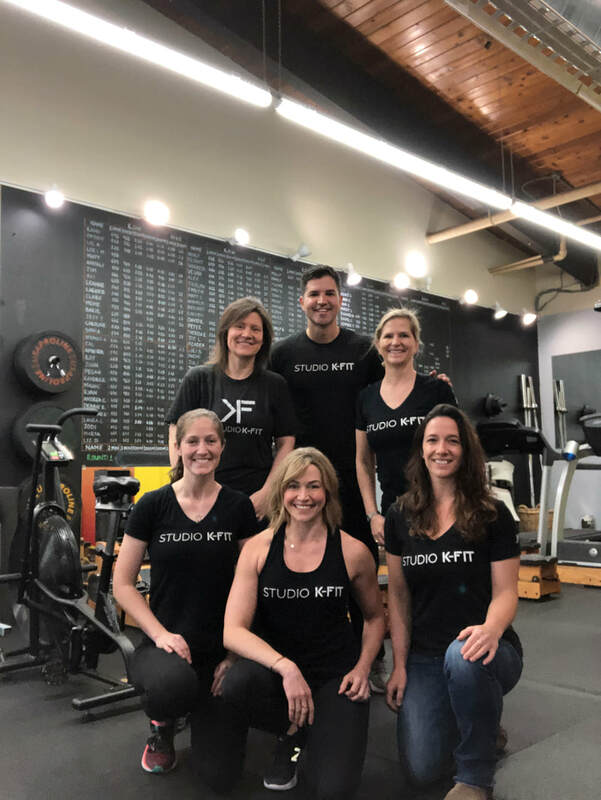 His goal with Studio K-Fit was to create a non-intimidating and extremely friendly personal training studio where everyone knows each other by name. Kendrick holds a Masters in Health and Nutrition Education and a Bachelors in Exercise Science. While in College, Kendrick completed his minor in pre-med with his eyes set on med school, until he realized his true calling in the fitness and wellness field. 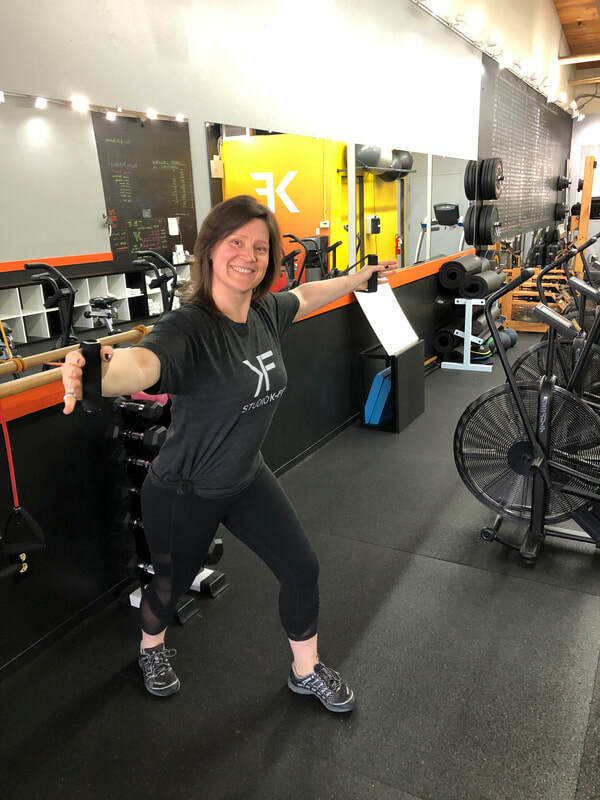 Besides being the better half, Angie is the brains of the operation and keeps everything running smoothly at Studio K-Fit. She was a full time trainer before their son, Gio was born in 2016. Growing up in Pennsylvania, Angie was an Elite gymnast and went on to coach gymnastics in high school and college. She currently teaches classes, trains one-on-one clients and is in charge of marketing and client relations. ​For the past 20 years Agi has been fascinated by what it means to live life to its full potential. She has studied several different alternative healing modalities including Reiki, Eden Energy Medicine, Chi Nei Tsang and has worked with the medicine people (Shamans) of the Amazon. She became a Fitness Trainer in 2014, which expanded her understanding of the physical body and she became a Meditation Teacher in 2017 to deepen her meditation practice. Agi started working at Studio K Fit in June 2014 and has been instrumental in assisting Studio K Fit’s growth to its current size. Agi moved to the USA in 2008 with her husband and two children, initially living in SoCal and later moving to NorCal. When not teaching at Studio K Fit , Agi offers energy medicine sessions and her services as a meditation teacher. 10 years later Agi owned her own business in England teaching sign language to babies and their parents through music groups. 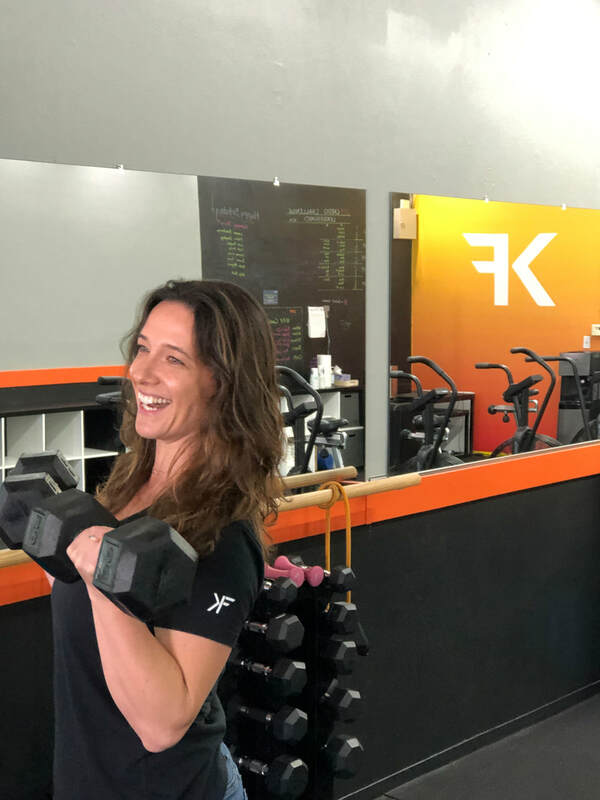 Agi’s favorite part of working as a K-Fit Coach is being in a position to make a positive difference in other people’s life not only through improved fitness but through nurturing community spirit and sharing a wide range of tips to support overall wellbeing. 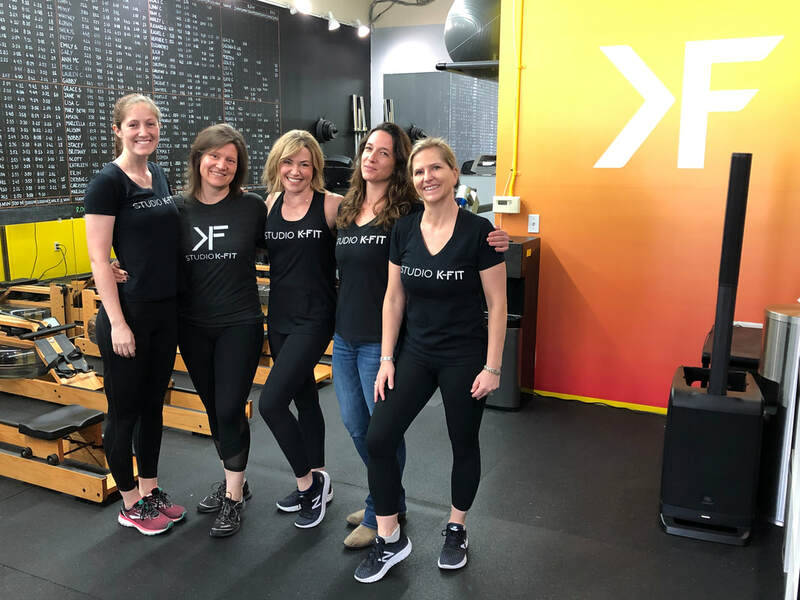 Agi enjoys seeing the growth clients go through, its ripple effect on their life outside the studio and the wonderful camaraderie of the entire Studio K Fit community. Unique fact: Her “Ah-Ha” Moment: She decided at the top of Mt. become a full-time fitness professional. members and coaches that makes K-Fit feel like one big family. Sawyer is a huge fan of the K-Fit community and loves contributing as a workout class participant and coach! She comes to Studio K-Fit with a background in playing team sports so the inclusive feel is very important to her. She is originally from the Bay Area, but she went to college in New England and spent 3 years eating her way through the pizza slices of New York City. She spends her work days teaching elementary school children and her free days going on hikes, cheering for the San Francisco Giants and many other teams, and baking all sorts of sweet treats! Unique fact: Sawyer has cut and donated her hair 5 times! Favorite part of being a K-Fit Coach: My favorite part about being a K-Fit coach is engaging with the amazing people in the K-Fit community! I also love hearing and supporting a good ringing of the bell after a PR! Hailing from Summit, New Jersey. Liz was the youngest of three. Her two older brother brothers played multiple sports which inspired her to play field hockey and lacrosse. 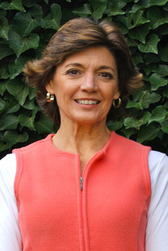 She attended Lehigh University and graduated with a BA in Economics. She met her husband during her time in the city (San Fran) but he worked down in Palo Alto for a medical device company. After a few years, she moved down to the peninsula and got a job with the same medical device company. Liz did not own a car until she was 30 so she would either get around by walking, biking or roller blading. That was my main form of exercise when I had little money and lots of time. Liz currently lives in Menlo Park and has three wonderful kids, Christian, Sigrid and Leah. "I am happy to be trying a new direction by becoming a fitness coach. I find the community a positive influence on all the aspects of my life." Unique fact: Moved to San Francisco from the East coast on whim when I was 25. Favorite part of being a K-Fit Coach: Helping to build a community of people that want to live a balanced and healthy lifestyle. 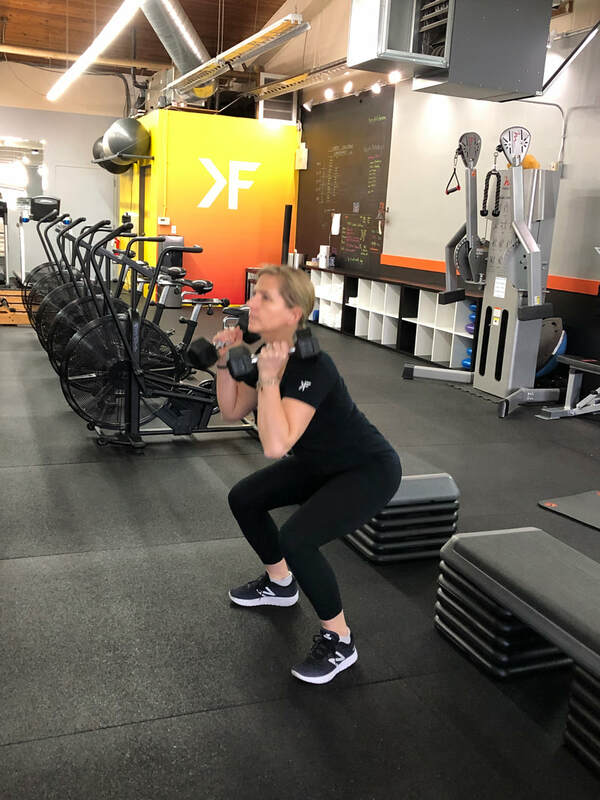 ​Laurel has a BS in Biology and is nationally certified as a personal trainer through the National Academy of Sports Medicine. 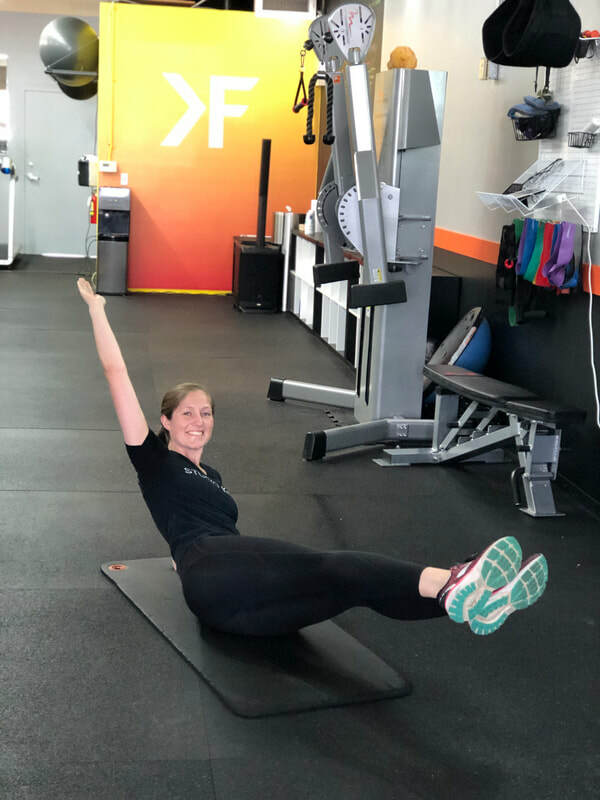 She also has certifications in Adaptive Fitness and Corrective Exercise. Laurel entered this field because while her extended family was blessed with longevity, they were not always blessed with quality of life. She decided that if she were to live to be 100, it wouldn't be in a wheelchair. Her goal is to help others glide into and through their golden years on their own two feet and that process can never start too soon. 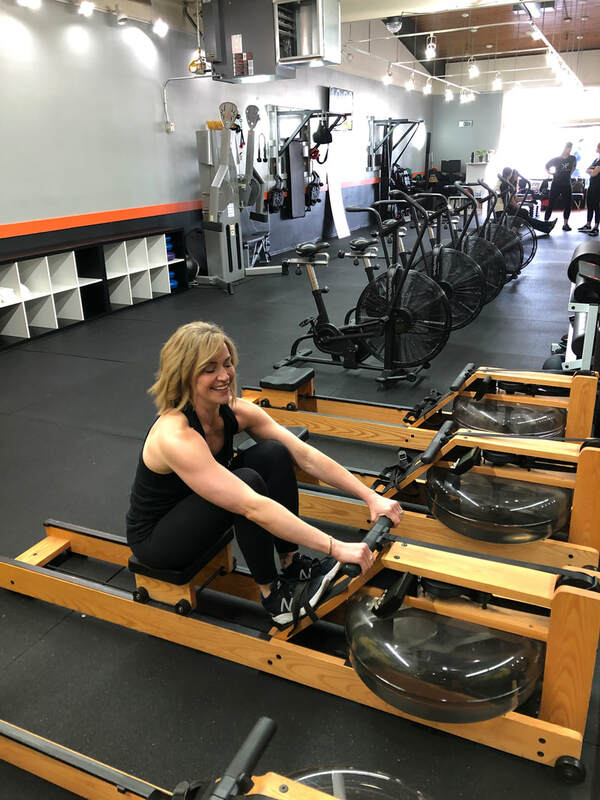 In addition to training at Studio K-Fit, Laurel works with older adults at Vi Living, formerly Classic Residence by Hyatt and teaches classes at PAMF with a registered dietitian focused on making healthy lifestyle choices. As a mother of two adult children, she is qualified to coach parents who want to establish better habits for their families. In her free time, Laurel enjoys golf, skiing and cooking. She loves everything about food except doing the dishes!